Less than 30% of South Africans have life insurance. To most, it seems like an unnecessary expense. But life insurance isn’t just an insurance policy that pays out a lump sum to your family on your death – it encompasses far more than that. So Why Buy Life Insurance now? With all this cover in place, you can have peace of mind that whatever unexpected calamity befalls you, your family will be provided for. South Africans are living in turbulent times. We never know what can happen to us next. In a country where dangerous protests are a common occurrence, where there is a high assault rate, and where bad drivers are running amok on our roads, even the young and healthy need to consider life insurance. In fact, it pays to take out life cover while you’re young. Why Buy Life Insurance Now, Who needs life insurance? If you have family members who depend on you, like parents, children, or a spouse, you will need to make sure they are taken care of when you are not there to provide for them. If your salary is necessary to pay school or university fees, or to pay off a house or a car, you will need to make sure there is money to allow them to pay for these necessities. When you pass away, will your stay-at-home spouse need to go back to work? What will it cost for this to happen? Think of the costs of the possibility of a live-in nanny. Do you look after a person with special needs? Who will take on this duty when you are gone, and how much will it cost? Will your family continue to enjoy the same lifestyle to which they’ve become accustomed, or will they have to give up a lot of these things? If your answer to any of these questions is yes, you need to consider life insurance seriously. Term cover – this cover for a set period only, and usually runs for 10, 20, or thirty years. It is more affordable than whole life insurance but has no cash value. It is a good way to provide for your family in the event of your untimely death when you are young and still trying to build up your assets. Whole cover – this insurance covers you your entire life, and is more expensive than term cover. This policy has a cash value that accumulates during its lifetime. 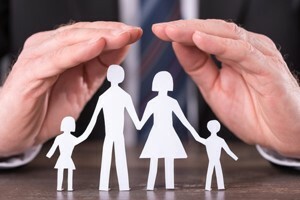 Why Buy Life Insurance now, So how do you choose the right insurance company? Some of the best life insurance providers in South Africa have been in existence for many years. One of them, the biggest, has been around for some 175 years. Old Mutual began in Cape Town in 1845 It is one of the oldest life insurers in the world. When you want to choose a life insurance company, Life Compare is a life insurance quotes comparison website. They represent a broad spectrum of life insurance businesses in South Africa, and their website is also is also useful for gleaning valuable information on long-term insurance. No-one can be sure of a tomorrow. Life happens! For peace of mind for yourself and your family, decide today to get yourself cover.